See in our review that the Coingenic investment program is a scam that you should avoid. Coingenic allegedly is a digital platform that allows investment into cryptocurrencies. The platform is offering several investment programs with returns up to 525% per 35 days. Can you multiply your money 5 times in a month with this service? No, you won’t be able to multiply your money 5 times in a month with Coingenic, nor with any other investment programs. Such returns are simply unsustainable, unachievable in a normal trading environment and in a legitimate way. Coingenic is a scam that probably functions as a Ponzi scheme, meaning that it just collects deposits and use some of this money to pay out the first profits just to attract more people. Once the owners have enough, they will shut down the entire operation and disappear with all the money. 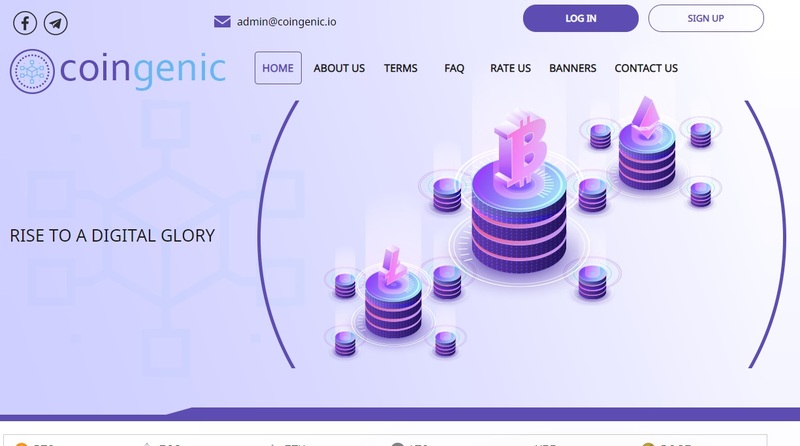 Coingenic is a company registered in the UK, but it was created just a few days ago and is in fact empty. There is no real business activity going on. As you can see on our picture, Coingenic is not authorized to provide investment services, therefore it is acting illegally. Coingenic is a scam that is going to shut down and money will disappear. Stay away from it!